After you've done both come back here and fill out this form to be entered. NO NEED TO LEAVE COMMENTS ON THIS POST. Giveaway will end Tuesday February 1st, at 10 p.m. MST. Winner will be chosen by Random.org. 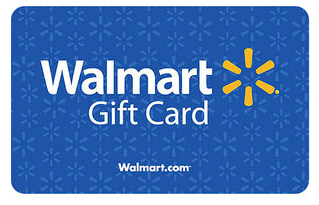 Walmart is not sponsoring this giveaway. I was not paid for this post. After giveaway I will discard all collected email addresses. Your privacy is important. Thanks! Just a reminder that I entered! Have a great weekend! Thanks! Just followed ya and will twitter now. Im a new follower on Twitter! Just tweeted your giveaway! Thanks for the chance!